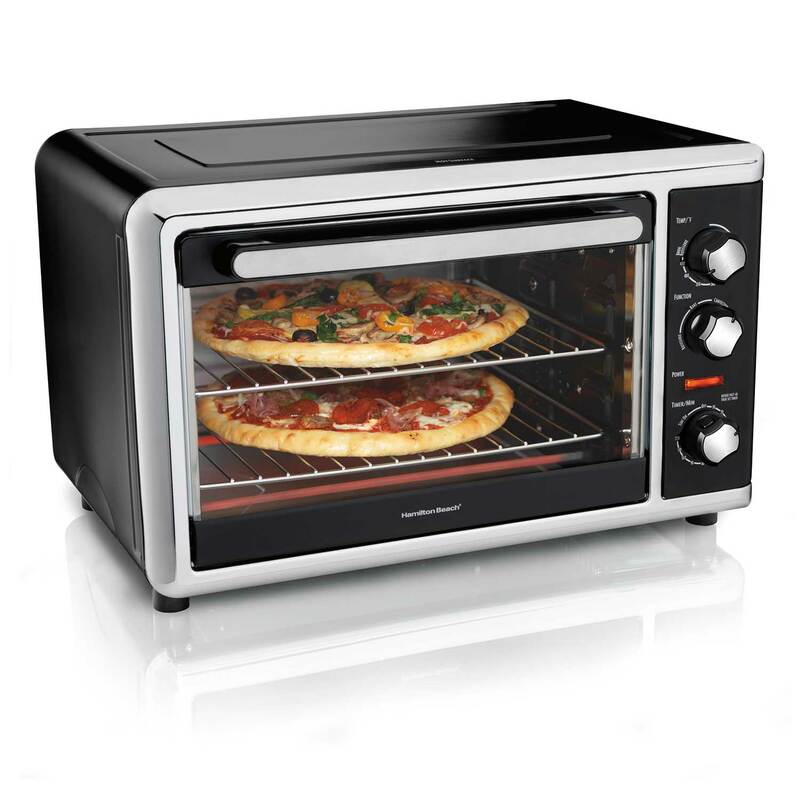 Hamilton Beach® Countertop Ovens are efficient, attractive additions to your busy kitchen, thanks to their ability to maximize power, efficiency and convenience. 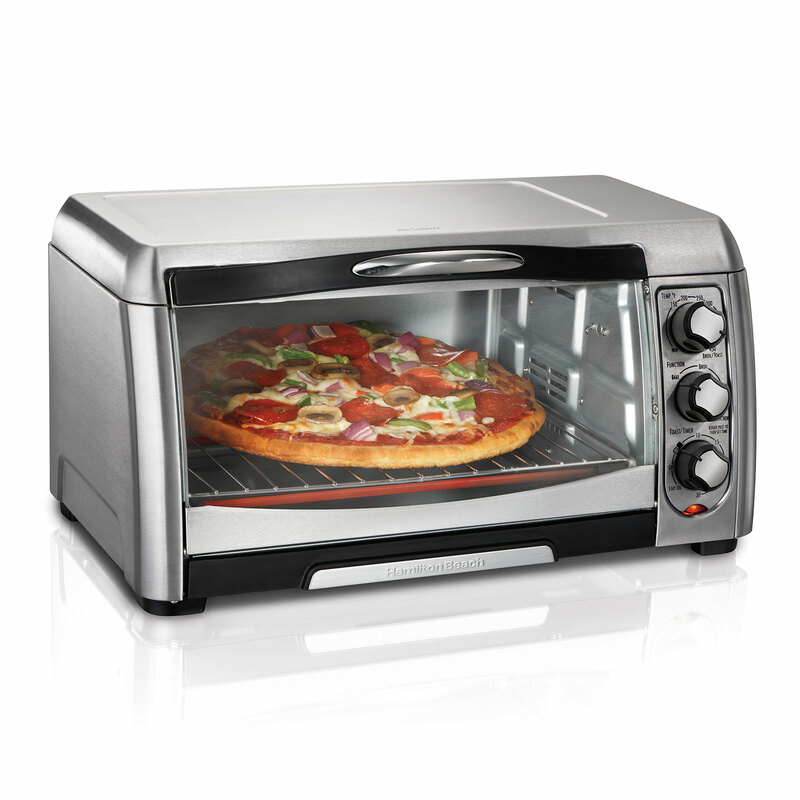 Short on kitchen space? 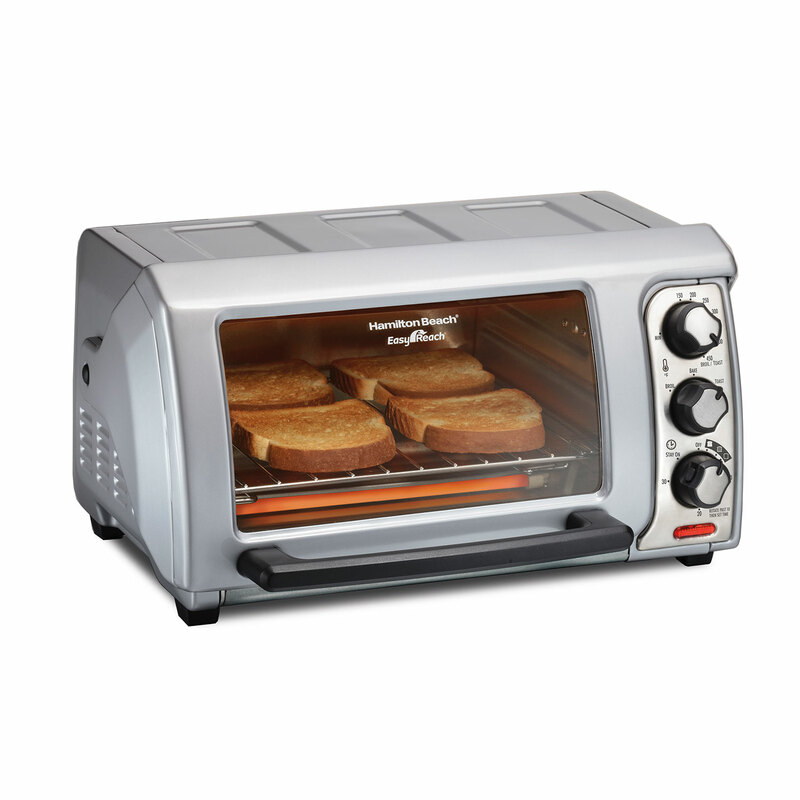 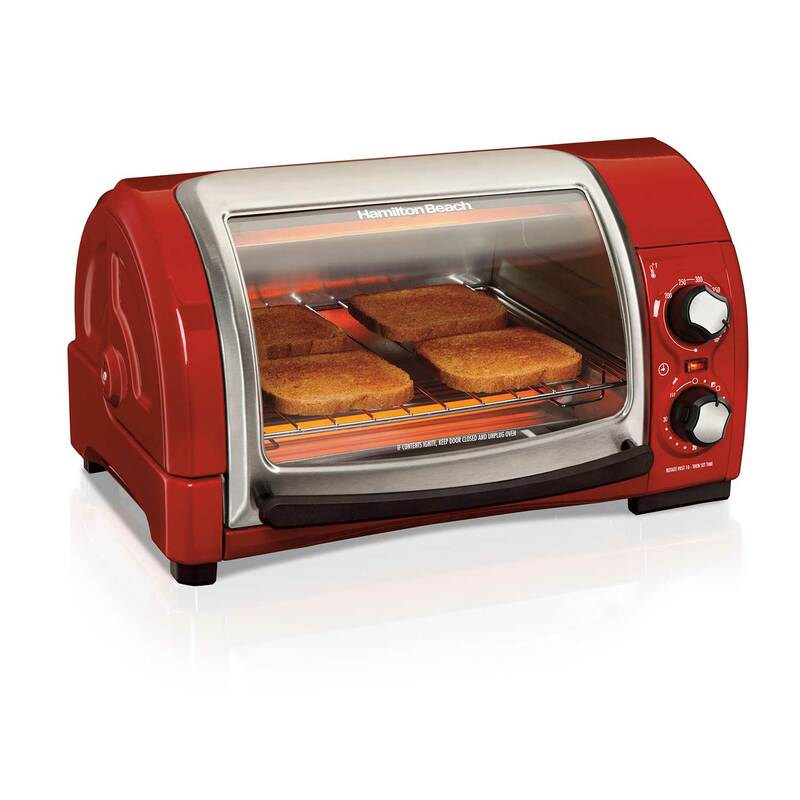 The Hamilton Beach® Toastation® Toaster and Oven combines a pop-up toaster with a countertop toaster oven for compact cooking versatility. 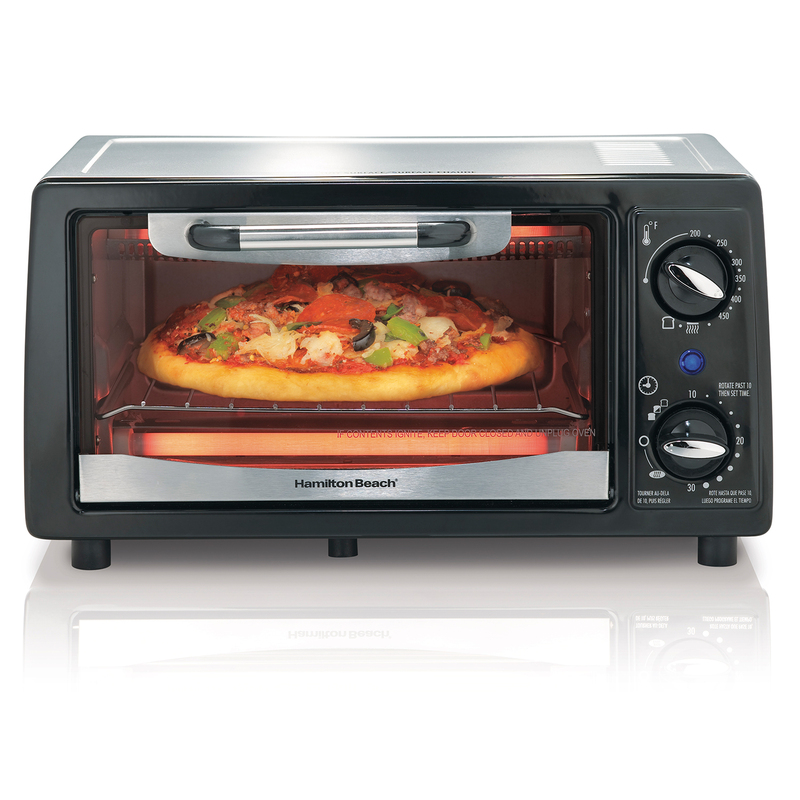 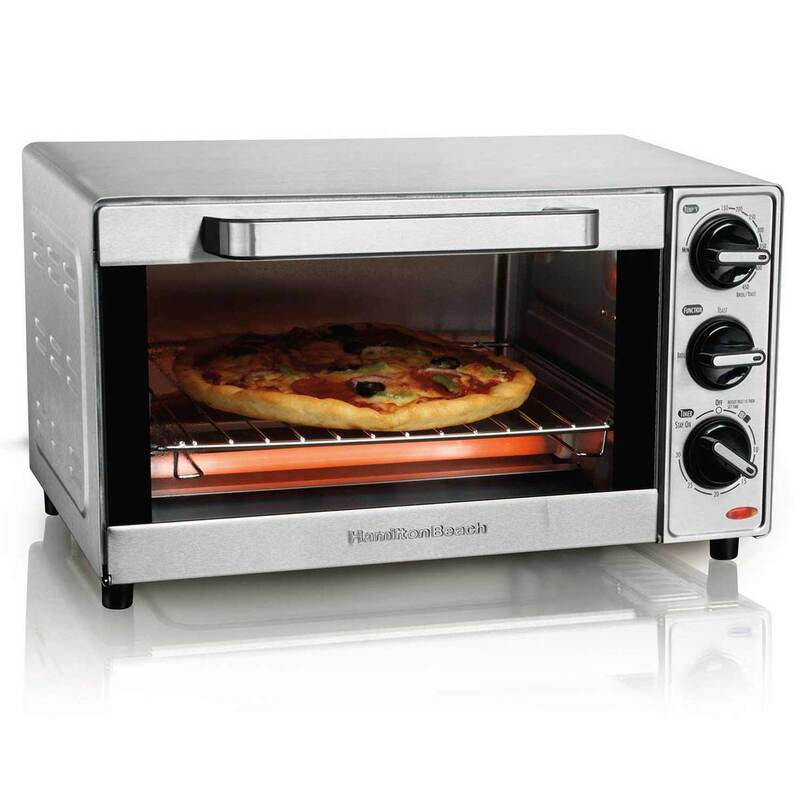 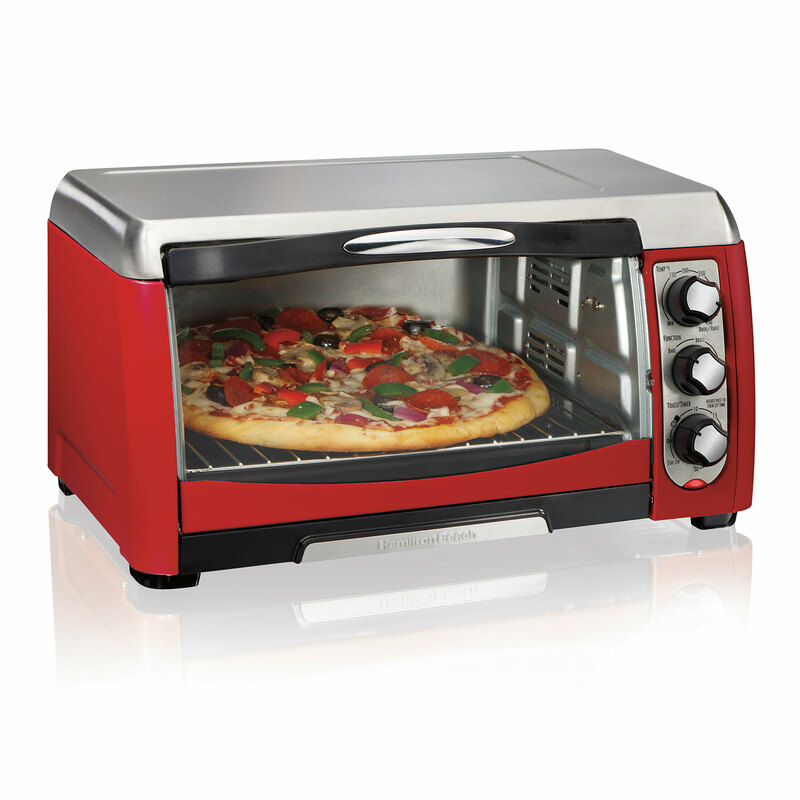 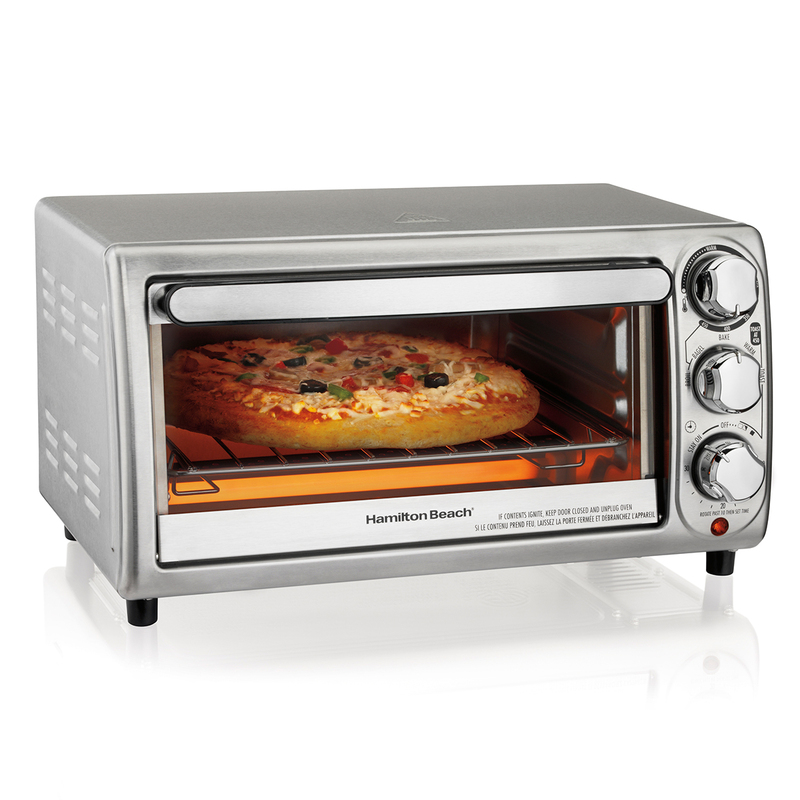 Hamilton Beach® Ovens incorporate a variety of practical features and temperature options for incredible versatility. 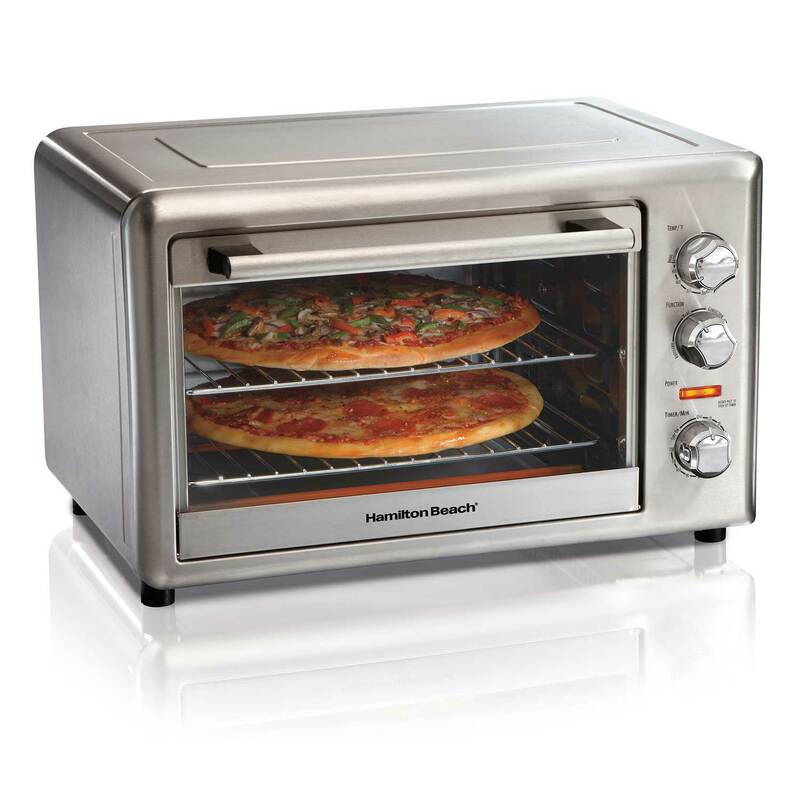 Whether you want a revolving rotisserie for juicy meat or a convection oven for quick, crispy pizza, Hamilton Beach® has the countertop oven for you. 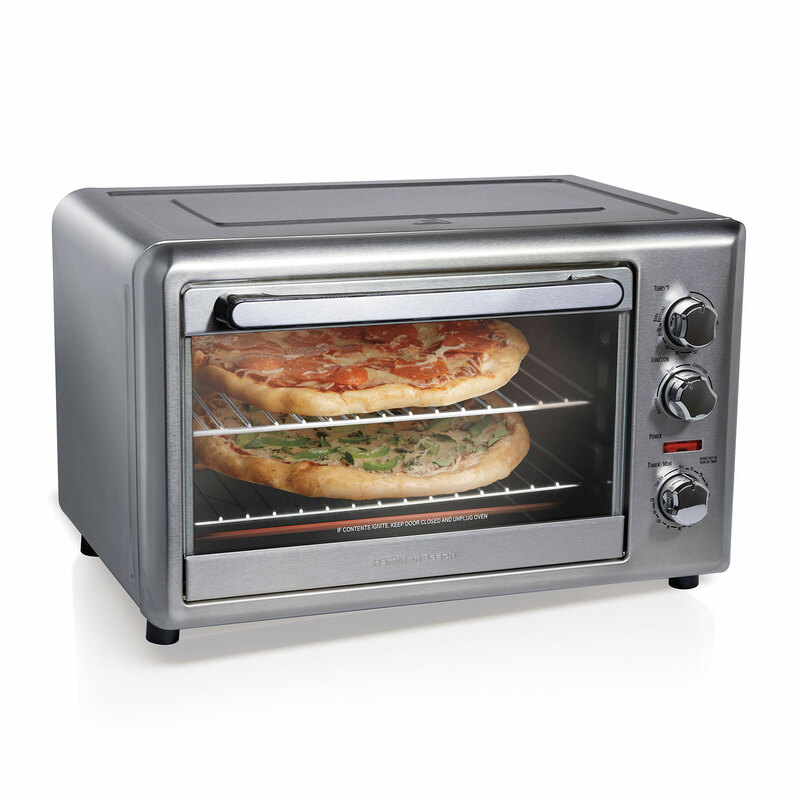 Dimensions: 12.05" x 17.8" x 10.24"